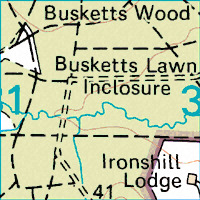 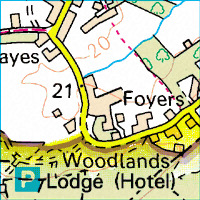 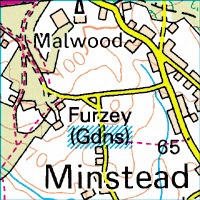 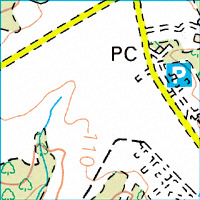 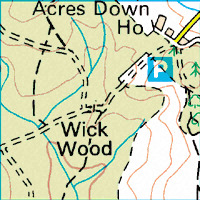 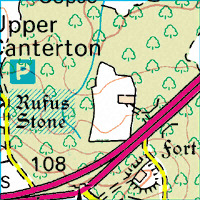 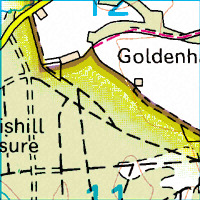 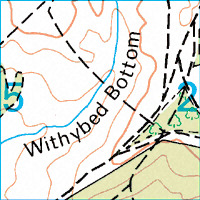 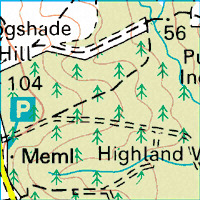 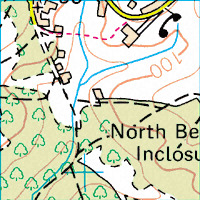 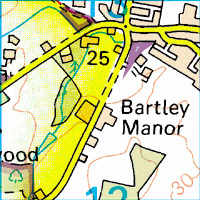 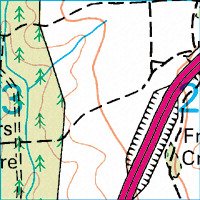 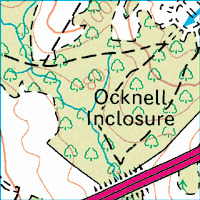 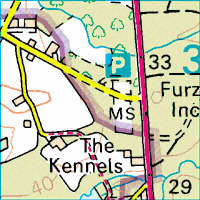 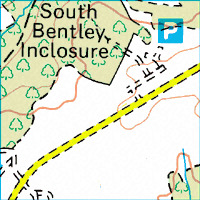 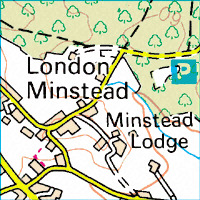 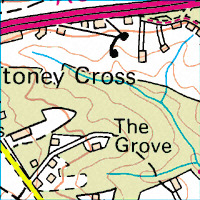 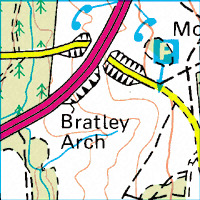 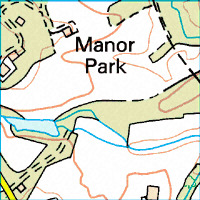 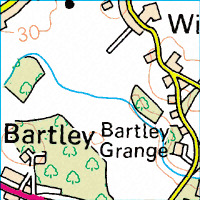 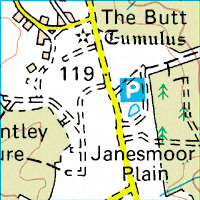 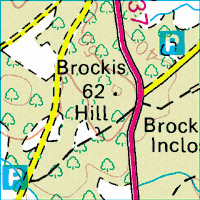 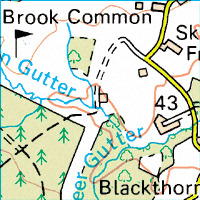 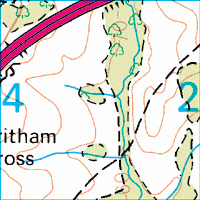 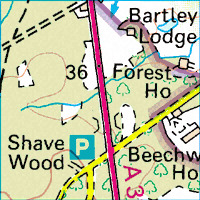 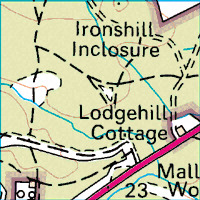 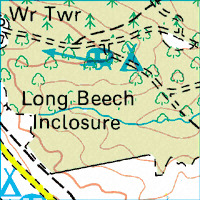 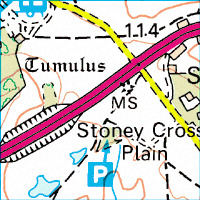 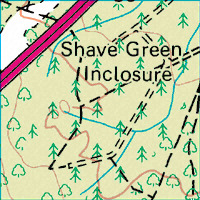 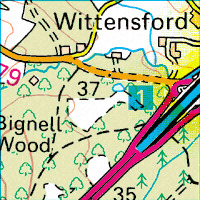 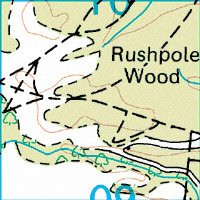 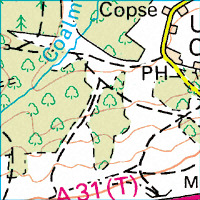 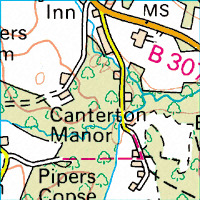 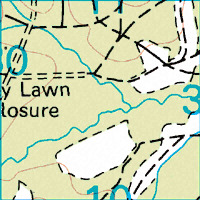 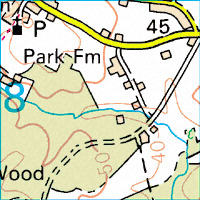 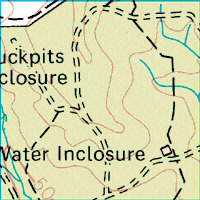 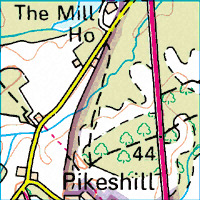 This is a topographic map of a section of the New Forest including Stoney Cross. 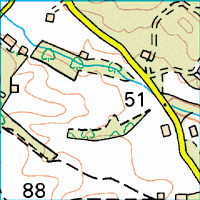 The airfield was located at grid C3. 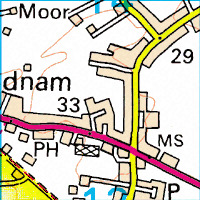 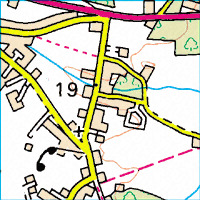 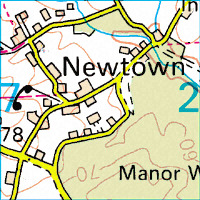 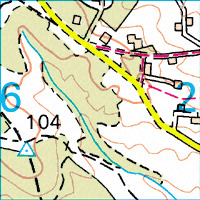 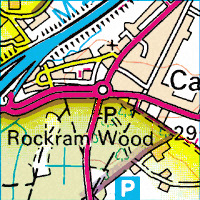 The town of Cadnam is at grid A7. 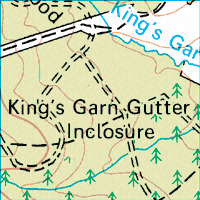 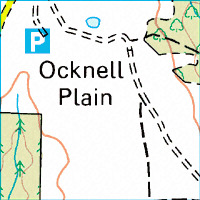 Click here for a version of this map cropped and scaled to be printed on an 8 1/2" x 11" page.